“I think the Pepper Pot should be, like, a giant helter-skelter…because it’s kindof that shape.” Following the young girl’s wish, the Pepper Pot transformed into a giant slide. Seconds later, it became a café, a castle and then a lighthouse. The Grade II listed Pepper Pot is thought to have been built as the water tower for a wonderful house of 1830, known as the Attree Villa, that was destroyed in 1972 in what was one of the worst architectural crimes in local history. After years of neglect, and a rather unpleasant peach/thistle paint-job, the Pepper Pot’s fortunes changed when a council grant of £70,000 was pumped into its restoration. The tour that I was given by Alex Sutton-Vane from volunteer group Friends of the Pepper Pot was a most unexpected eye-opener. The ground floor is reached via a door in the structure’s octagonal base. A rickety ladder leads to a mezzanine level and then another to the first floor. By the second floor, it is clear that the upper portions of the building are decagonal, rather than octagonal, which is easily verified externally by a quick count of the building’s Corinthian pillars. The second floor is flooded with light from its ten windows but the real treat is the third floor where a brick dome and incredible panoramic views from a set of tiny square windows delight. 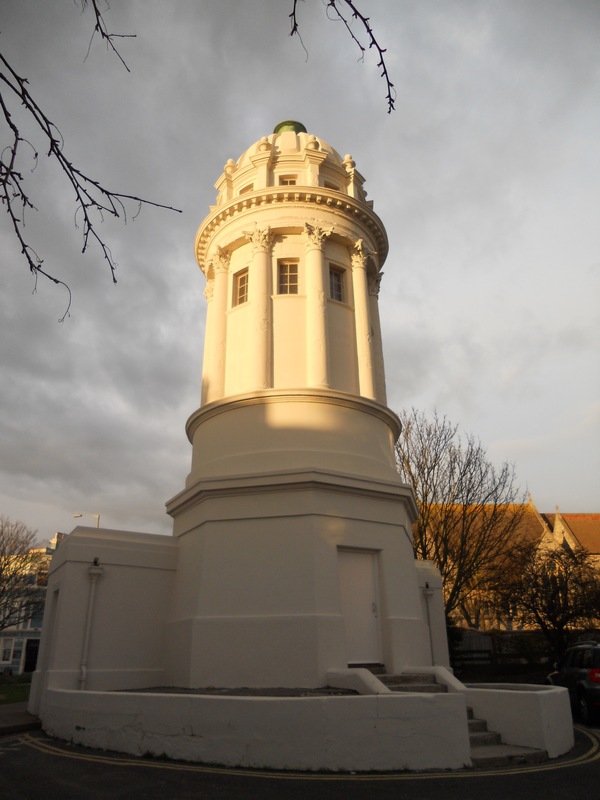 When Brighton Corporation took ownership of the Pepper Pot in 1892, it was used for storage and then as a public toilet, a base for air raid wardens, a Scout hut and an artists’ studio. Rather bizarrely, a non-original cast iron sewer vent runs through its centre. 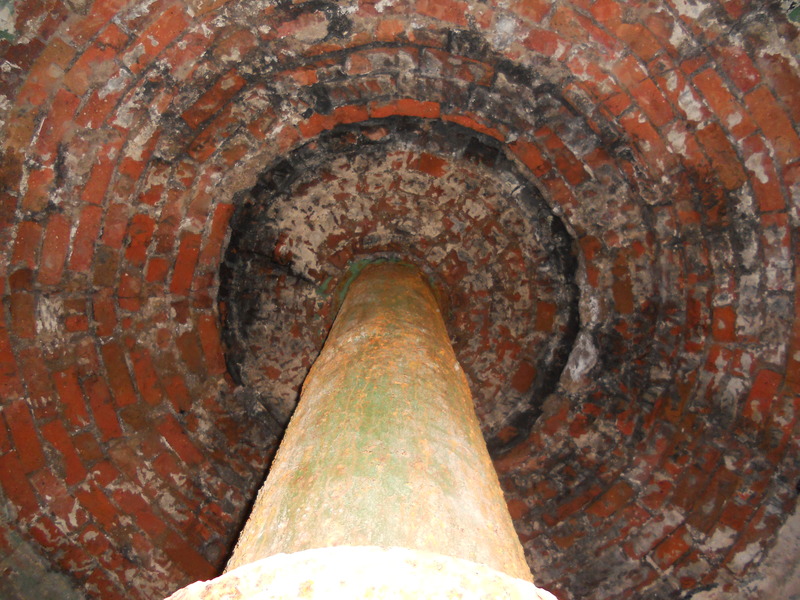 The restoration has raised all sorts of interesting questions about the Pepper Pot’s past. My old Regency Society friends Neil England and Nick Tyson have spent hours researching the origins of the large blocks from which the curious folly is constructed. The peculiar material turned out to be an early form of artificial stone called Ranger’s Lime Concrete which was developed by William Ranger. The young girl who wanted a helter-skelter put across her views during an incredible light show by Shared Space and Light that took place during White Night last year, after the scaffolding had come down. The options for future uses are still very much open. See www.pepperpot.info for a video of the show that has to be seen to be believed.